A compound from the South African toothbrush tree inactivates a drug target for tuberculosis in a previously unseen way. The compound under research, diospyrin (see below structure), binds to a novel site on a well-known enzyme, called DNA gyrase, and inactivates the enzyme. DNA gyrase is essential for bacteria and plants but is not present in animals or humans. It is established as an effective and safe drug target for antibiotics. "The way that diospyrin works helps to explain why it is effective against drug-sensitive and drug-resistant strains of tuberculosis," said Professor Tony Maxwell from the John Innes Centre. 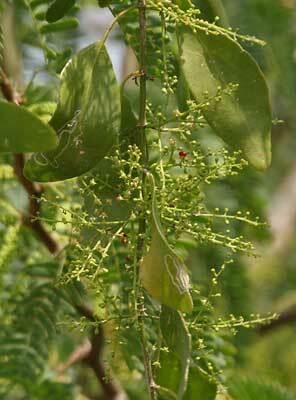 In traditional medicine the antibacterial properties of the tree are used for oral health and to treat medical complaints such bronchitis, pleurisy and venereal disease. Twigs from the tree are traditionally used as toothbrushes. Most antibiotics originate from naturals sources, such as the soil bacteria Streptomyces. Antibiotics derived from plants are less common, but they are potentially rich sources of new medicines. "Extracts from plants used in traditional medicine provide a source for novel compounds that may have antibacterial properties, which may then be developed as antibiotics," said Professor Maxwell.